Canadians need to revisit their retirement planning calculations using more realistic expectations for long-term portfolio returns, experts say. Many Canadians could end up with a lot less money for retirement than they expect because their investment plans are based on projected rates of return that are now far out of step with reality. The expected rate of return is a crucial piece of any retirement plan, because it sets the expectation for how much a portfolio will grow and what it will ultimately be worth when a person is ready to retire. There was a time not so very long ago that many financial advisers were confidently projecting that a well-diversified portfolio made up of a mix of equities and fixed income investments could comfortably earn a long-term average of seven to eight per cent a year. That projection was based, in part, on what stock and bond markets had managed to return over the long haul in decades past. The benchmark index of the TSX, for instance produced an average annual return of 9.5 per cent over the 40 years ending in July 2011. Fixed income investments had also generally fared well over longer periods, as bond prices rise when interest rates fall – as they did for much of the 30 years after 1980. But as Canadians head into 2012, the world economy is wrestling with an outlook that the head of the International Monetary Fund has described as "quite gloomy." 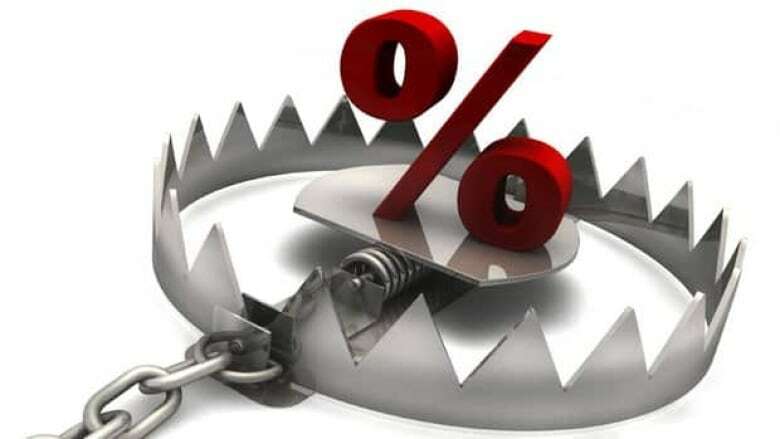 Interest rates are already at rock-bottom and can't fall much further. Long-term bond yields are at historic lows. Everybody seems to be waving "caution" flags. Many advisers are now saying it's time for investors to do much the same thing when projecting long-term returns going forward. And that could have a major impact on how much net worth many Canadians will have to look forward to in their golden years. "It would be unwise to assume an eight per cent average over the next 15 to 20 years," says Warren MacKenzie of Toronto-based Weigh House Investor Services. "I think we're in for some tough times." Making projections is a fundamental part of retirement planning. While you can't know for certain how your stocks, bonds, mutual funds and other investments will do over the years or decades until you need to start dipping into them, you have to make some educated guesses to do any planning. If you don't make certain assumptions about portfolio growth, you'll have no way of figuring out if you have a hope of reaching your financial goals. Service Canada's comprehensive online retirement calculator, for instance, allows you to choose an estimated portfolio return of anywhere from two per cent to 20 per cent. The default return – the one the calculator will use unless you change it – is currently seven per cent. Depending on what expected return you choose to plug into a calculator, the results it spits out can mean the difference between being told that, yes, you'll be able to retire when you hoped to … or no, you'll have to work an extra 10 years. So when you plug in your best guess, what return should you pick? Eight per cent? Seven? Six? Try five per cent – at most. That's what some experts are now saying is the best to realistically expect over the long term for a balanced portfolio, based on the current economic turmoil and the dubious outlook for the coming years. "In the plans that I'm doing now, I'm projecting 4.75 per cent to 5.00 per cent," says MacKenzie of Weigh House Investor Services. The message for investors is now hope for the best, but plan for the less-than-best. A similar bit of advice comes from Justin Bender, a Chartered Financial Analyst and portfolio manager at PWL Capital. He says he still sees "unrealistic portfolio return expectations" among clients of as much as 12 per cent for balanced portfolios. Bender used research from Credit Suisse about projected real equity and fixed income returns going forward, and then added his own assumptions about inflation rates and real return bond yields. He came up with nominal expected rates of return of 6.0 to 6.5 per cent for global equities and 4.0 per cent for bonds. His conclusion? "Financial planners using more than a 4 per cent to 5 per cent rate of return for their projections (after fees) may be overstating the return that their clients can reasonably expect." The old 3-6-9 assumptions that many financial planners used to use – projecting three per cent inflation, six per cent fixed income returns, and nine per cent equity returns – are being abandoned. "Depending on the client, I've been using five to six per cent [for a balanced portfolio] for the last three years," says Julie Leefe, a Registered Financial Planner at Prisma Financial Planning in Oakbank, Man. "I will go lower than five if the client is closer to retirement." Paul Wilson, a Certified Financial Planner at JPW Insurance Retirement Investments in Halifax, also cautions not to expect double-digit returns going forward. "If you can do four percentage points better than inflation, that's pretty good," he says. The bottom line is that it may now simply be too risky to use historical performance data for retirement planning projections. The boiler-plate warning on many investment documents that "past performance is not a guarantee of future returns" has never been more relevant.